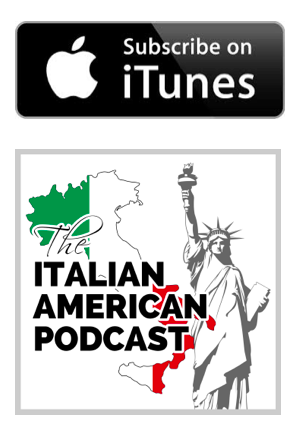 In this episode of The Italian American Podcast, we answer a variety of listeners’ questions. Could you recommend a good resource for learning Neapolitan? I’ve been learning Italian over the past few years, in an attempt to further gain an appreciation of the Italian American culture, but I would really like to also learn at least some Neapolitan since that was the language that my Southern Italian immigrant ancestors spoke. – Mike C.
Consider visiting Italki where you can find terrific Neapolitan tutors and it is free to join. Seek professional Neapolitan lessons with an instructor like Anna Scognamiglio. Start listening to Neapolitan songs. What suggestions would you have for people who want to get more involved in the Italian American community, but who don’t live in an area with a prominent Italian American population? – Sarah P.
Create your own community, even if it is just a group of three to five people in your neighborhood. Creating a small group can be very rewarding, as it will enable you to connect and speak to people who have the same background as you have. You can also join The New Neighborhood, or go to another place where you might meet other Italian Americans, like a church. The history of Italians in America is based, not only on determination and culture and accomplishment but also upon sometimes brutal ethnic derision and strife. Our community has evolved with this dichotomy of great strength in ethnic identity but also a more complex relation with the larger society. How has that made us who we are? And, how does this dynamic separate us from those in Italy, with their own South/North history. – Peter C.
We have been insular and protected ourselves from the larger American Society for so long because we were faced with racism. It took a lot of work and people to break through boundaries for us to get to the point where we are now. We still often feel like a community that is judged, discriminated against, dismissed, and singled out, as no other ethnic group is. A lot of Italian Americans who are younger take their current social standard for granted because, without understanding the history of immigration, they don’t have a concept of what Italian Americans endured. We often see how Italian Americans have one speed – they are very determined people. How can we continue to preserve our Italian American cultural and family traditions and, at the same time, embrace the global technological and sociological advancements of the 21st century? – Eugene S.
In some ways, Italian Americans have been given such a great work ethic that they are in danger of working themselves into the ground. We have to try and preserve our culture the best way we can and remember that family is important. We need to start putting our phones down, and rather sit around the table and talk, or go for a walk together as a family. Keeping family and traditions alive in this day and age is hard work. There are times when we are very tired and don’t want to do certain things, but we need to push through and do them.